When creating a gaming computer, even the most avid of gamers tend to skimp on the monitor and just purchase whichever monitor is the biggest or looks best. However, a high-quality gaming monitor will not only display stunning images but will also elevate your gameplay to a higher level. This is the reason why professional or elite gamers cite their monitors as being one of the most vital weapons in their gaming arsenal. And this goes beyond wanting their games to look good. As such, this guide will pit two of the best gaming monitors at the moment – the Asus vg248qe and the Acer gn246hl – against each other to find out which is the best option for you. In layman’s terms, the refresh rate refers to the number of frames that a monitor can display every second. Therefore, the higher the number of frames that a gaming monitor can show, the more you will be able to see which allows you to react faster. Refresh rates are measured in Hertz. Consequently, the higher the number of hertz, the better the refresh rate. For a first-person shooter, a 144Hz monitor is a vital purchase as it will offer you a monumental advantage over opponents using 60 or 120 Hz monitors. In light of the refresh rate being the most critical factor towards getting a smooth image, coming at a close second is the response time. This refers to the speed at which a colored pixel turns white then to a different color. A higher response time, therefore, may result in things such as ghosting, motion blur, or smearing especially when it comes to fast-paced games like racing or first-person shooters. This implies that the lower the milliseconds, the better the response time. Ideally, the best response time should be either 1 or 2 milliseconds. This refers to your screen resolution. As such, the clarity of an image depends on your gaming monitor’s screen resolution. Therefore, a 1920 * 1080 resolution monitor will produce pictures with more and better details than a 640 * 480 resolution monitor. With that out of the way, let us dive into the Asus vg248qe vs Acer gn246hl battle. The Asus VG248QE and Acer GN246HL are among the most popular monitors in the gaming market due to their overall performance. Undeniably, they represent two of the best 24-inch monitor options for gamers. Right off the bat, one can see that these gaming monitors share vast number of similarities. As such, finding a clear-cut winner is going to be tricky. Nevertheless, let us compare some of the most essential attributes. Though created by different manufacturers, these gaming monitors come in the same exact size of 24-inches which is the most ideal size for gaming sessions. As we covered earlier, a good display is among the most critical attributes that any self-respecting gaming monitor must possess. This is because an optimal gaming experience requires that you have a clear and thorough display which enables you to not only play properly but also excellently. Both of these gaming monitors possess an excellent display. This comes from the fact that they share a similar screen resolution of 1920 * 1080 which is the second highest among all LED monitors. And due to this enhanced resolution, these gaming monitors deliver clear and detailed displays that are perfect for not only gaming but for productivity applications and multimedia as well. If you can recall from our discussion on pixel response time, it refers to the time taken by the monitor to change its pixels and display new content. As such, a monitor that has a lower response time is less likely to produce blurred images. This makes the pixel response time one of the most important factors to consider when selecting a gaming monitor. Fortunately, both the Asus VG248QE and the Acer GN246HL have the same pixel response time of 1 millisecond. As a result, you will enjoy excellent imaging effects during your gaming session regardless of which monitor you choose among them. Even though these two gaming monitors share a vast number of features, they consume power at different rates, and it is a critical thing to consider especially if you are keen on energy expenditure. The Acer GN246HL is much more efficient with energy usage as it only needs 23W while the Asus VG248QE consumes almost double that amount at 45W. Despite these monitors having almost similar measurements, they are quite different when it comes to their individual designs. The Acer GN246HL comes with a simple but elegant look that will fit right into any gaming station. Its foundation is solid which makes this monitor very stable and sturdy. 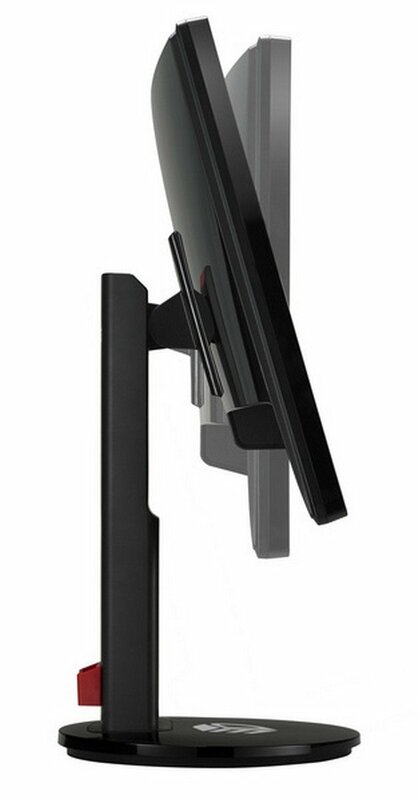 On the other hand, the Asus VG248QE has a circular base which makes this monitor stable and sturdy. But this is not the only thing the Asus has to offer, aside from its stability and sturdiness, it is quite the looker as well. Additionally, it allows you to tilt, swivel, or adjust its height to suit your needs. In matters design, the ergonomic design of the Asus VG248QE is what gives it an edge over the Acer GN246HL. When it comes to the performance yielded by these two gaming monitors, it is quite exemplary, and this is what makes both monitors a top choice for any gamer. Both offer an excellent display, good response time, and provide you with an enhanced gaming experience due to the improved efficiency. Nevertheless, the Asus VG248QE has some features that the Acer GN246HL does not. For instance, it has the exclusive GamePlus Hotkey which offers you timer functions. This makes the monitor more powerful which enables you to play at a fast pace. Price, of course, is one of the most important considerations when purchasing anything, gaming monitors notwithstanding. In this regard, these monitors are quite different. After looking through various stores, we discovered that the Asus VG248QE commands a higher price than the Acer GN246HL. As such, when it comes to affordability, the Acer GN246HL should allow you to walk home with some change. Now that we have exhausted the most important comparisons, let us look at the pros and cons of each model. Ø The 1ms response time and 144Hz refresh rate allow for fast and blur-free gaming. Ø Allows for numerous software and hardware configurations that will enable you to obtain the perfect balance of settings to suit your preferences. Ø The DVI cord comes in handy. Ø The price is good for a 144Hz monitor. Ø The speakers are not so good. Ø Is supported by NVIDIA 3D light boosting technology and NVIDIA vision that is designed to provide better image quality. Ø The 144 Hz refresh rate is appreciated. Ø Eco-friendly and energy efficient. Ø Lacks a display port. Ø Can take up to 20 seconds to turn on. These two monitors are among the best gaming monitors in the market right now. They are among the top choice for most gamers due to their quality and high functionality. However, the Asus VG248QE is a tad better when it comes to overall flexibility and performance. Even though they both have excellent displays, the Asus’s ergonomic design allows the gamer additional comfort and convenience. The Acer GN246HL is still an excellent option and is preferred by many gamers as well. The most attractive feature about this monitor is its price. It is cost friendly and can suit anyone’s budget. As a result of its affordable nature, the Acer GN246HL is a good choice for anyone who wants a good gaming monitor without breaking their bank. 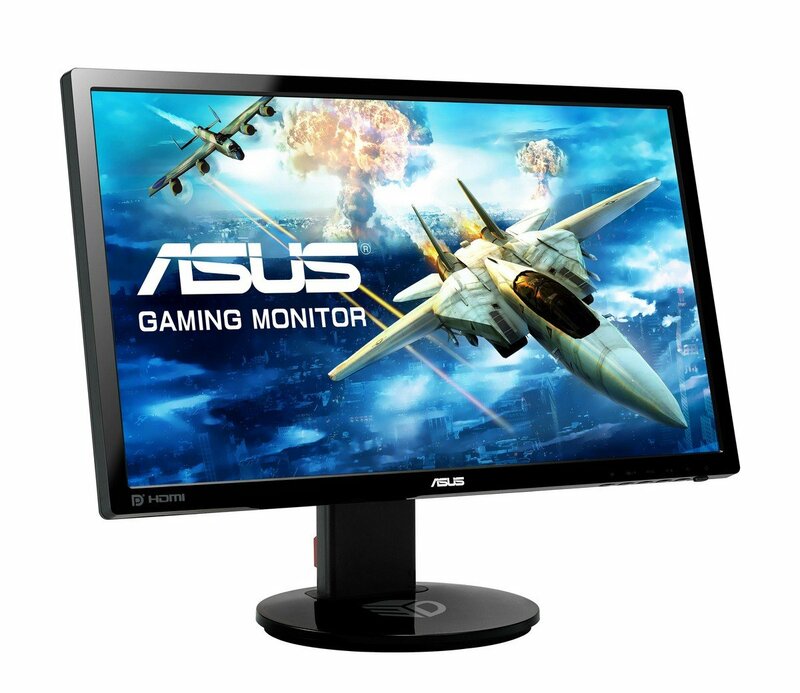 Nonetheless, the Asus VG248QE is the probably the better choice of the two..